A breach of Parliamentary Service Guidelines? In my recent post about Brand Consistency I talked about Labour and a lack of brand consistency in the emails listed on their candidate contact details page. I noticed one other thing, that I thought was worth its own blog post. 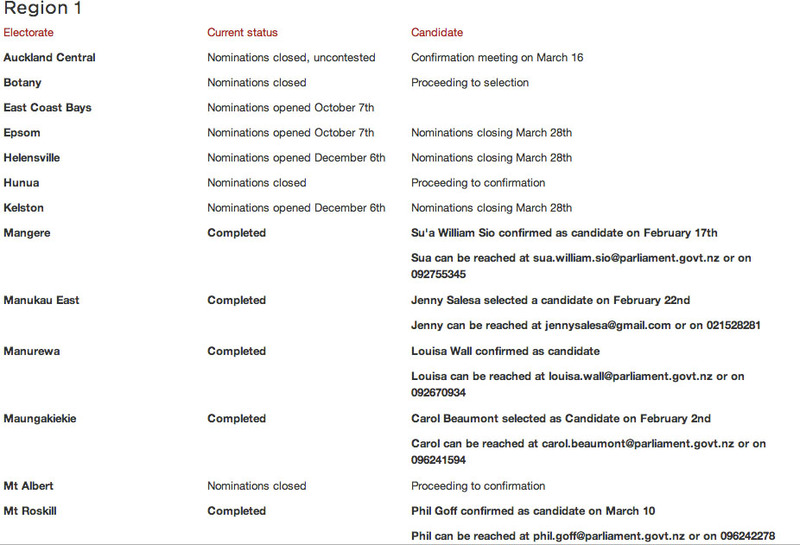 If you look closely at that screen grab, there are four Labour Party candidates on there whose contact details include an @parliament.govt.nz email address. So the question has to be asked, have the Labour Party and their MPs breached the rules by using Parliamentary Service resources? UPDATE: I have checked the page listing National Party Candidates and firstly it has not been updated since 5 Feb, but it has no emails at all. Or are there rules about having to use an @parliament.govt.nz email address for parliamentary business? I’d presume that for OIA purposes, there’d be some sort of guidelines about using private email addresses? 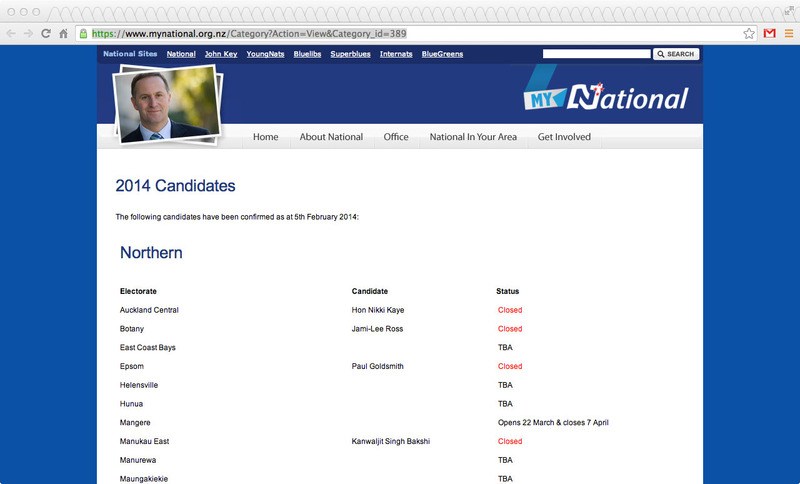 I checked on the National Party website, on the list of their MPs they all have @natiional.org.nz addresses. Unless they are a Minister, MPs are not subject to the OIA. To me, the issues is they are being referred to as candidates, yet have their email address as @parliament.govt.nz. There is also the brand consistency issue I talk about in the other post as well.